The client required a new pool house, constructed in place of some existing ramshackle brick garages. 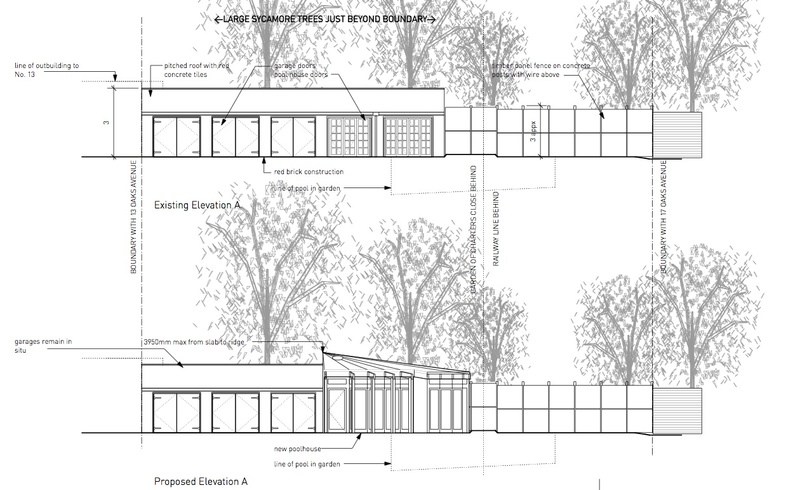 The position of the existing swimming pool had to be retained and respected, leading to a complex ‘fan’ plan with large sliding-folding door openings to the north and west sides. The structure is of engineered timber beams on loadbearing masonry cavity walls, supporting a green roof and complimented by a green oak pergola fanning out over the pool. The brief includes space for a bar and pool table.